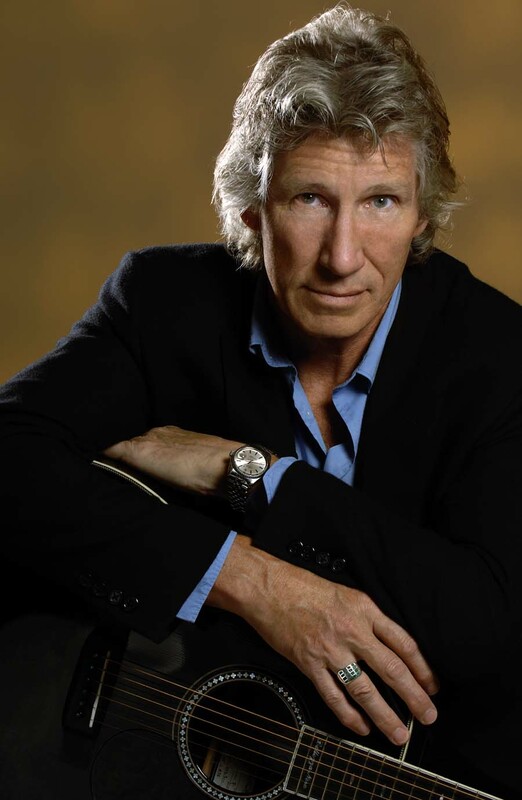 The Roger Family Line – Continuing the family tree of Pink Floyd’s Roger Waters. In the previous post I dealt with Roger Waters‘ Whyte family origins and in this second part I will write about his Roger family tree. Robert Whyte (born 1874, see part one) married Beatrix Louise Roger, born circa. 1884 at Egglescliffe, County Durham. I’m pretty sure that she died in the Newmarket district aged 88 in early 1972. Her death record states that she was born on 8th April 1883. Her parents were Robert Roger and Ann Agnes Gay and they were married in 1878 in Norfolk. Ann Agnes was born in North Wootton, located north of King’s Lynn. Beatrice‘ siblings were Robert Gay Roger (1879), Helen M.A. Roger (circa. 1881), Ethel M. Roger (circa. 1886), Valentine Royston Roger (circa. 1890), Doris Mary Roger (1893) and David M. Roger (1899). All were born in Egglescliffe. In the 1901 Census their address was Yarm Road, Egglescliffe. Besides Beatrice, there are two persons which deserve a special mention, namely father Robert and son Valentine. In 1871, Robert was a pupil at a private school in Tor Moham, Cornwall. Married – 6 December, 1763, Lumphanan, Aberdeenshire. In the 1911 census, Royston was living at 51 King Henry’s Road, London with his sister Beatrice‘s father-in-law and his second wife, Caroline. If you recall from part 1, this address first appeared in the 1881 England Census as the home of Robert and Jeanie Whyte, the parents of Robert and George Duncan Whyte (the missionary). This suggests to me that the in-laws had a good relationship. Royston is a 21 year old nurseryman born in Egglescliffe. He marries a Marian Cooper in the Battersea area, and have two sons, Anthony G Roger (Pickering, 1935) and Morice Roger (Ryedale, 1937). Nice to see the Morice name being carried through the ancestral line. Royston died in the Ryedale district, Yorkshire in 1967, and Marian I think died in June 1978, Claro District, North Yorkshire. Her birth is given as 2 September, 1900. Her son Morrice died in 2005, and his birth date is given as 14 May 1937. There is a common pattern in the Roger family tree for using a surname as a christian name. We have Roger Waters, Morice Roger, and Royston V Roger. Roger and Morice we know the history of. Royston was the surname of the wife of Richard Gay the great great grandfather of Roger Waters. Ann Agnes Gay married Robert Roger, the son of the inventor and engineer of the same name. They married in Norfolk in 1878. Ann’s father was Richard Gay, a farmer born in North Wootton, Norfolk. He married Mary Royston on 13 December, 1842 at North Wootton. In 1871 Richard owned a farm of 1500 acres employing 60 men and 16 boys. This was a huge concern and he probably owned one of the biggest farms in Norfolk, or certainly in his immediate area. To get further back I needed to consult the Family Search web site. There is a christening date for Richard of 1 September, 1816 at North Wootton. His parents were Thomas and Lydia Gray. His siblings were Joshua (1822), Thomas (1818), Thomas Paul (1820-1843), Ann (c.1828). On the Family Search site there is a christening record for a Lydia Gay of 12 January, 1793 in Heydon, Norfolk. This is north of Norwich and East of King’s Lynn. Her parents were Richard Gay and Ann Paul. This seems to fit nicely with the information about Thomas and Lydia I have already found. They name a son Thomas Paul Gay which makes sense if the Paul surname exists in the ancestry, which it does. It seems, therefore, that Richard and Lydia had the same surname, perhaps they were cousins. I can’t find a marriage date for them but my guess is that it was just before 1816. Going further down this line we find a marriage for a Richard Gay and Ann Paul; they marry on 24 January 1792 at Stody, Norfolk. This is located north of Heydon. Continuing with the search on the Family Search website, I found a sibling for Lydia, Ann, christened at Heydon on 19 August, 1795. There is a christening for an Ann Paul on 25 December, 1765 at Stody, Norfolk. Her parents? Thomas and Lydia Paul! So, now I can be fairly sure that I have the right ancestry. So, can I go further and find other generations? Well, I found a marriage record for a Thomas Paul and Lydia Goldsmith, married at Wells, Norfolk on 7 August, 1760. Could these be the Thomas and Lydia who were Ann Paul‘s parents? Wells, or Wells-by-the-sea as it is called, lies only a few miles north-west of Stody, so I think it’s entirely possible that I’m on the right track. Lydia Paul christ. 6 August, 1761, Stody, Norfolk. Elizabeth Paul christ. 25 March, 1764, Stody, Norfolk. Ann Paul christ. 25 December, 1765, Stody, Norfolk (married Richard Gay, 24 January, 1792, Stody). Frances Paul christ. 10 December, 1767, Stody, Norfolk. Thomas Paul christ. 22 December, 1768, Stody, Norfolk. If I am on the right lines, then I’m sure that Thomas Paul was christened at Stody on 4 April, 1736. His parents were Henery (Henry) and Elizabeth Paul. There is another Thomas Paul christened at Norwich on 13 January, 1730, parents being Thomas and Ann Paul. I’m tempted to say that the Stody one is the most obvious but one can never be sure in genealogy. the same place as the wedding of Thomas Paul and Lydia Goldsmith in 1760 (see above). Her parents were William and Lydia Goldsmith. William possibly died either in 1762 or 1757 at Wells; two burial records exist on Family Search. Lydia probably died in January 1786 at Stody. There is a marriage record for a William Goldsmith and Lydia Brereton on 21 September, 1736 at Stody. John Goldsmith christ. 13 March, 1737, Wells, Norfolk. Ann Goldsmith christ. 15 March, 1743, Wells, Norfolk. Lydia Maria Brereton christ. on 10 July, 1719 at Saxlingham, Norfolk (near Wells-by-the-sea). Parents were John and Martha Goldsmith. I am prepared to accept that this may not be right, but I thought I’d include it anyway. The age difference between Lydia and William is a whopping 19 years if the christening dates are taken as approximate year of births. It may well be that Lydia was christened a period of years after her birth; also her parents were Goldsmiths – was she born to Martha before a marriage to John Goldsmith? An easier explanation would be that it is completely wrong! Will Gouldsmith christ. 7 April, 1700, Wells, Norfolk. His parents were John and Elizabeth Goldsmith. This is as far as I can go with this line of ancestry. If we go back to the christening of Thomas Paul in 1736, I stuck my neck out by plumping for his parents to be Henery and Elizabeth Paul. There are two possible marriages for a Henry Paul and Elizabeth; 1714 at Aylmerton and 1722 at Necton or Pockthorpe. Necton and Pockthorpe are miles away from Stody or Wells. Aylmerton, on the other hand, is along the coastline to the east of Wells-by-the-sea. But I can’t be sure to make even a good guess. I did find a set of christenings for a Henry and Elizabeth Paul in Stody. John christ. 25 December, 1726, Stody. Mary christ. 25 October, 1728, Stody. Elizabeth christ. 4 April, 1730, Stody. Frances christ. 2 January, 1733, Stody. Ledy (?) christ. 29 January, 1735, Stody. Thomas christ. 4 April, 1736, Stody. Ann christ. 18 January, 1738, Stody. Anne christ. 18 January, 1739, Stody. Finding a Frances in this set could be a determining factor to being on the right track, though not a conclusive one. Thomas Paul had a sister named Frances, who might have been named after a grandmother. Unfortunately I was not able to find this out because I could not locate any further records. If we return to Richard Gay and his wife Mary Royston, we find that she was born in Leverington, Cambridgeshire. Agnes Ann, Roger Waters‘ great grandmother, aged 3, daughter of Richard and Mary is on this census listing. Mary (1845), Thomas William (1846), Louisa (1848), Matilda Miriam (1850), Lydia Ann (1855), Agnes Anne (1857). two brothers, George and Henry were also born in Leverington. Threekingham, Lincolnshire. William Royston was born in Edenham, Lincolnshire and Miriam at Threekingham. Thomas Royston married Lucy Thorp on 20 February, 1769 at Ingoldsby, Lincolnshire. William born 20 July, 1813, Walsoken, Norfolk. Sarah born 13 November, 1813, Walsoken, Norfolk. George born 18 May, 1815, Leverington, Cambridgeshire. Mary born 8 December, 1816, Leverington, Cambridgeshire. Henry born 11 May, 1818, Leverington, Cambridgeshire. Lucy born 21 May, 1821, North Wootton, Norfolk. Cuthbert born 11 February, 1823, North Wootton, Norfolk. This family can be verified through the census records. William Royston (65) Farmer Not born in county. Miriam Royston (50) Not born in county. William Royston (30) Born in county. Sarah Royston (25) Born in county. Mary Royston (20) Not born in county. Richard Royston (20) Not born in county. Lucy Royston (20) Born in county. As usual the 1841 census is not as accurate with ages as other census. If we move to the 1851 census, we find William and Miriam still alive and living at North Wootton. Their eldest daughter Sarah is also living there and her birthplace is confirmed as Walsoken. There is also a grandaughter named Lucy, 5 years old, possible Sarah‘s daughter. So, who were William Royston’s parents? I found a christening for him at Edenham, Lincolnshire on 3 February, 1771; parents were Thomas and Lucy Royston. Mary christ. 29 October, 1769 Edenham, Lincolnshire. 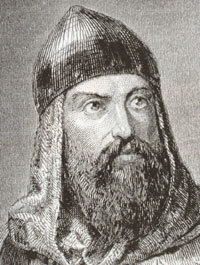 William christ. 3 February, 1771 Edenham, Lincolnshire. Thomas christ. 23 December, 1772 Edenham, Lincolnshire. James christ. 2 January, 1775 Edenham, Lincolnshire. Sarah christ. 4 January, 1777 Edenham, Lincolnshire. George christ. 10 April, 1782 Edenham, Lincolnshire. Miriam Blackbourne siblings (as found on Family Search) were Ann, christ. 22 August, 1779 (died 2 July, 1782); Henry, christ. 18 February, 1781 (died 9 July 1782); Ann, christ. 25 January, 1784; and Miriam (Roger Waters‘ great great great great grandmother), christ. 17 September, 1786. The deaths of Ann and Henry being so close suggests that they died from whatever disease that was going around the area. But Miriam survived. Ann German christ. 21 January, 1754, Spanby, Lincolnshire. This looks like the next village to Threekingham. Parents were John and Ann German. Lucy Thorp, as far as I can gather, was christened on 29 July 1746 at Great Ponton, Lincolnshire, which is a few miles east of Ingoldsby. Her father was Henry Thorp. It is difficult to affirm who was Thomas Royston‘s parents. There are two possibilities. Thomas Royston christ. 16 August, 1735 Edenham. Parents were William and Mary Royston. Thomas Royston christ. 13 July, 1740 Edenham. Parents were Wlliam and Mary Royston. Notice that Thomas and Lucy (above) named their first two children Mary and William! So that’s the end of the line for me. It’s always good to find something interesting about someone’s ancestry after such a lot of researching . Even though I couldn’t find a lot on his father’s side, which I was looking forward to looking into, I was glad I was able to find several generations of Roger Waters’ maternal line. What really pleased me was the diverse locations; Durham, Norfolk and Lincolnshire.